Candidates cannot do it alone! 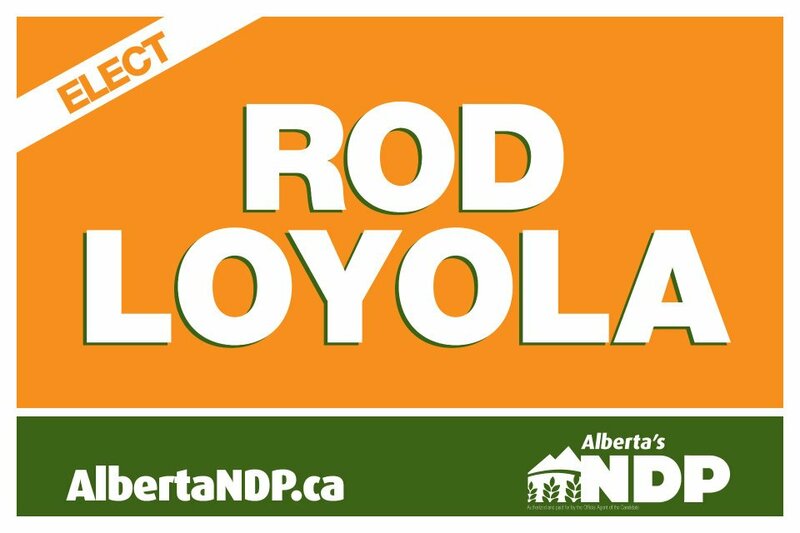 Volunteer for Team Rod Loyola and help another Alberta NDP candidate into the Alberta Legislature. We are looking for people with a variety of skills and varying degrees of knowledge when it comes to political campaigns. If you’ve never volunteered for a campaign before, that is okay, we are dedicated to helping build capacity and train volunteers in a number of areas: strategic planning, event planning, data entry, public speaking, door knocking, public relations, communications, social media and more. Let us help build your skills as we work together to build a successful campaign. In the mean time please help promote the campaign by inviting family, friends and community members to visit the following social media sites. Please copy, paste and share on your own social media. Join the Alberta NDP Edmonton Ellerslie Electoral District Association for their June 18 nomination meeting. Alberta NDP Leader Brian Mason will be our Guest of Honour and Speaker, joined by Alberta NDP House Leader, Ms. Rachel Notley. Join in on the celebration as we continue to grow the Alberta NDP and prepare ourselves for the next provincial election. For more information please call 780-293-8496. As some of you may know, at the last Alberta NDP Convention I was acclaimed as the Vice-President for the Edmonton Region along with Peggy Wright who was elected to represent Edmonton. I take this responsibility very seriously. It’s important to build the Alberta NDP as we prepare for the next Alberta General Election but more importantly for the many years to come if we hope to gain more New Democrat MLAs in the Legislature. For this reason I have decided not to seek the Federal NDP nomination as planned and to focus on building the Alberta NDP instead. It was a difficult decision to make. There are a number of federal issues that I have been actively involved in for many years; however, there are provincial issues that are just as important, healthcare and Education and the potential privatization of each by the PCs and Wildrose being just a couple that deserve our focus.